Smoking is one of the major risk factors of heart disease. The chemicals in tobacco smoke cause damage to the structure of your heart. They also damage the walls of the arteries. This damage causes a risk of atherosclerosis which is a waxy build up (plaque) . Over time this hardens and causes narrowing of the arteries. Coronary artery disease occurs when there is a build up of plaque in the arteries of the heart. Over time coronary artery disease will cause chest pain, heart attack or abnormal rhythm. If you smoke 10 cigarettes per day this will cost 1,916 euros. This is equivalent to a round the world trip ticket stopping in Bangkok, Sydney, Auckland , Los Angeles and Boston. You can get help from www.quit.ie Your healthcare professional will advise you on local agencies that can assist. How can exercise help me to stop smoking? With exercise you get an endorphin and enkephalin release which is similar in sensation to the nicotine release that you get from a cigarette. 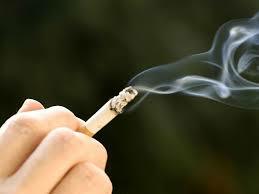 Exercising at times that you know that you will want a cigarette can improve your success rate with giving up smoking. Cardiac rehabilitation is a programme designed to examine your risk factors of heart disease and helps you manage these risks through exercise and lifestyle modification. It also helps you to recover both physically and emotionally from your cardiac event. Recovery from a cardiac event can be challenging psychological with most people going through a grief process as they have suddenly start to question their mortality. If you have had a heart attack, cardiac surgery, stenting, heart failure or the insertion of pacemaker or defibrillator you would benefit from this type of programme. Also if you have any of the risk factors of heart disease this programme would be suitable for you. Cardiac rehabilitation involves a preliminary assessment where your risk factors will be identified. A baseline exercise test is then usually performed. During this test your maximum heart rate is registered and your training heart rate for optimum benefit is calculated. During the test your efficiency of movement is also examined. The purpose of the test is to assess your baseline ability so that you optimise your benefit during a training programme. Following the assessment you will then commence a training regime with education on how to reduce your risk factors. Cardiac rehabilitation has been found to improve your energy levels and ability as well as improving your social and psychological well-being. One of the other benefits of cardiac rehabilitation is the group support. Karen Cradock, Specialist Cardiac Physiotherapist, Heart 2 Heart Cardiac Physiotherapy, www.h2hcardiacphysio.com.